Another attractive tourist spot is the Hall of the Heroes which is situated near to the cenotaphs. The Hall of Heroes is dedicated to the folk heroes and the deities of Rajasthan. There are many statues of deities and folk heroes which are carved exquisitely in rock. It is painted with bright colors. 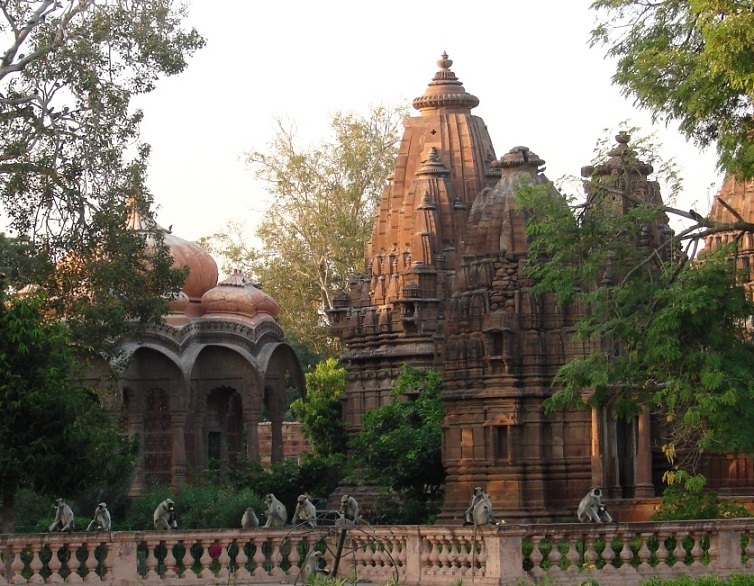 The Mandore garden also includes the “Shrine of the Three Hundred Million Gods” which is filled with the images of Hindu gods and goddess. All these images are brightly colored which makes it one of the most attractive places in the city of Jodhpur. 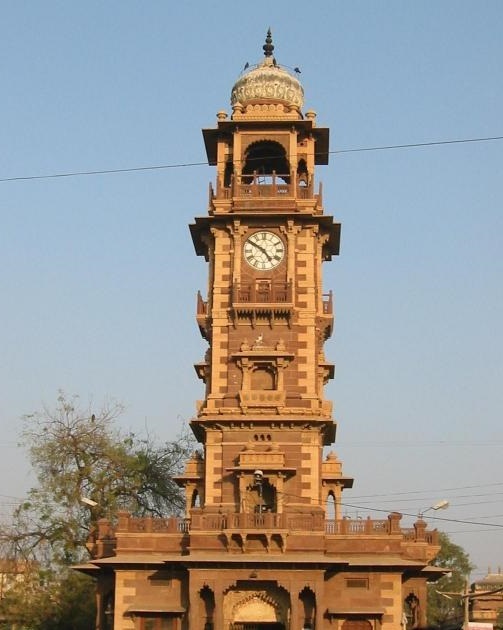 The Clock Tower or the Ghanta Ghar is another popular tourist spot in the city of Jodhpur. It is located in the old city market place known as the Sardar Market. The Clock Tower is one of the most important landmarks in the city. The Tower clock was built by Maharaj Sardar Singh during his reign. The lively Sardar market is located near to the tower. The hustle-bustle of the Sardar market is beyond compare. Narrow lanes suddenly give way to stupendous bazaars where it is easy to find anything and everything ranging from spices to clothes. Imitation jewelries, bangles, perfumes, clothes, shoes, baskets and so forth can be found in the Sardar Market. The market is also filled with antiques and handmade items which include hand embroidered shawls, sarees, shoes and bags. Rajasthani styled shoes, rugs, carpets, blankets and quilts can also be found in the market. Old age silver jewelries, exquisite Rajasthani textile and marble inlay works are the other popular attractive items sold in the Sardar Market. The Sardar market which is located near to the Clock Tower is perhaps among the oldest markets in Rajasthan. It is colorful, boisterous and dirty at the same time.